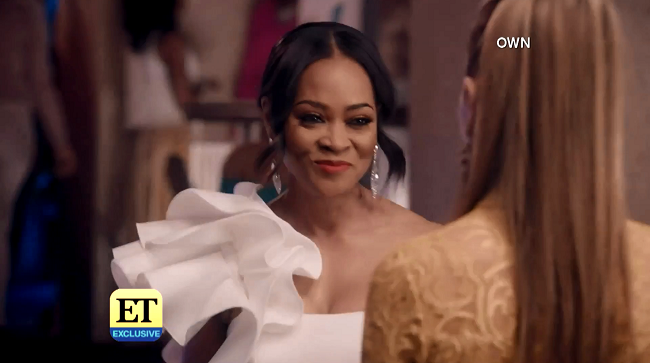 "Lovers, competitors, enemies, friends, scandal, and that's just for starters," teases Robin Givens in a new first look video for Ambitions, the upcoming primetime soap opera created by Indie Series Award nominated writer Jamey Giddens. Givens stars as Stephanie Lancaster in the OWN series, which premieres in June. Check out the preview below. Meanwhile, Givens shared her thoughts on Stephanie Lancaster during Monday's episode of Live with Kelly and Ryan.